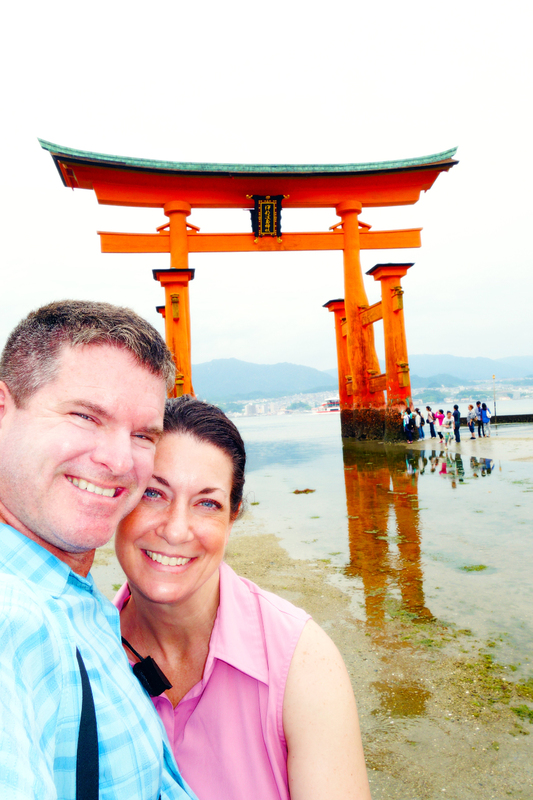 Standing at the base of perhaps the most iconic torii in all of Asia, it’s easy to feel the divine dimension which seems to emanate from each and every wooden fiber. 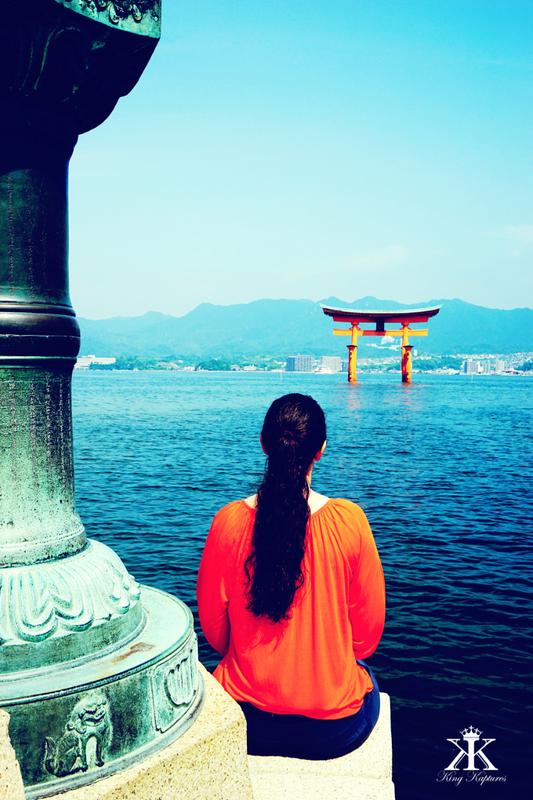 The Great Torii (Otorii) of Itsukushima, a Shinto Shrine on the island of Miyajima, like all torii (see Trampled Torii for more), marks the boundary of sacred ground, a physical reminder of the split between the spirit and the human worlds. It also remains as the ceremonial shrine entrance for souls of the departed and the still living alike. 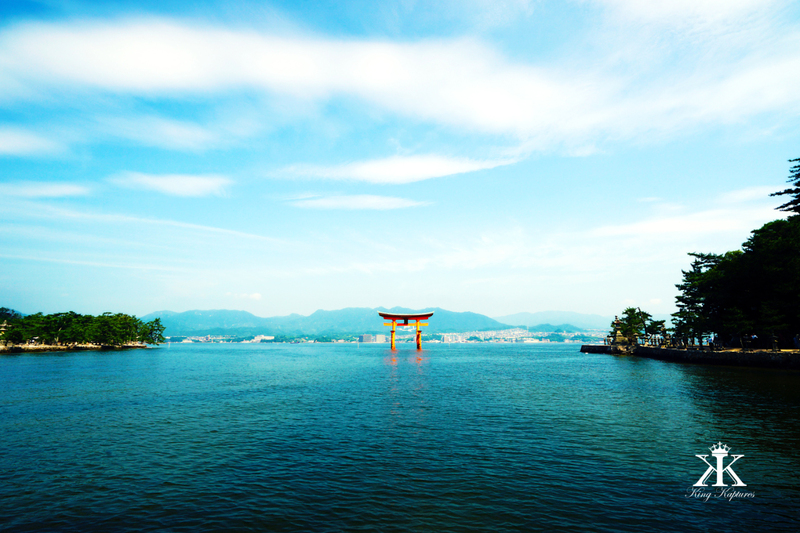 The first Otorii at this location was erected in 1168, a little more than 200 meters offshore. 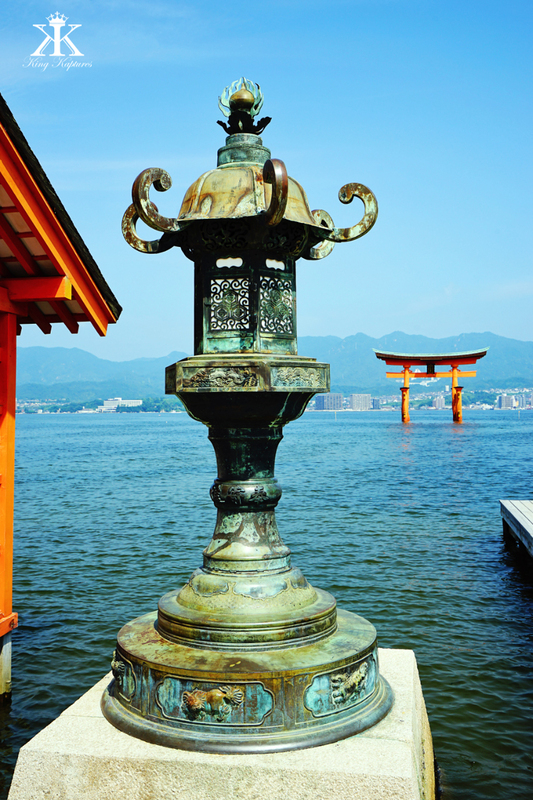 Since then, the gate has continually served the larger shrine, although the one we see today dates to a reconstruction of 1875, itself the eight Otorii in the shrine’s long history. 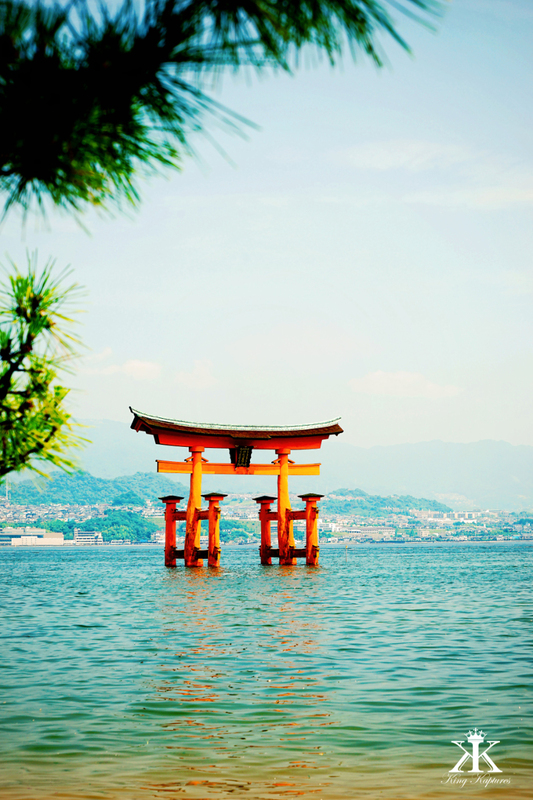 Eight rebuilds are not too shabby for 950 years of sitting in the ocean exposed to the elements! 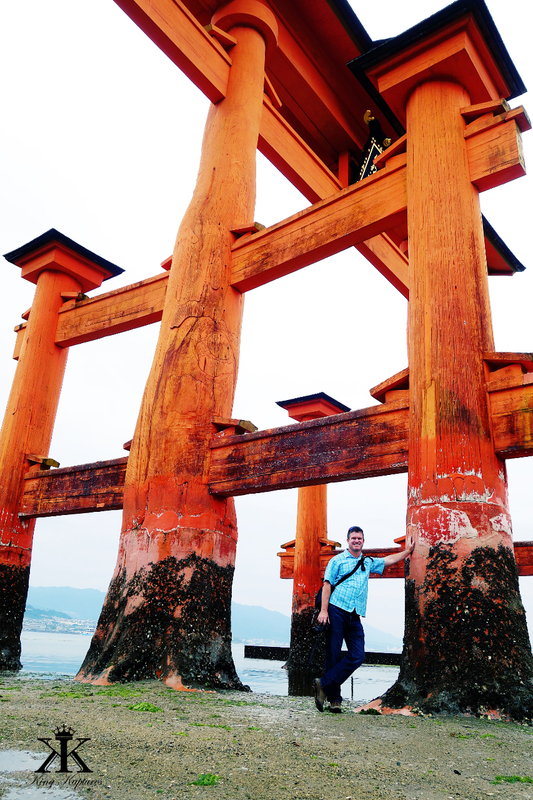 The Otorii is about 55 feet in height, about 80 feet in length at the arch, and weighs a whopping 60 tons. 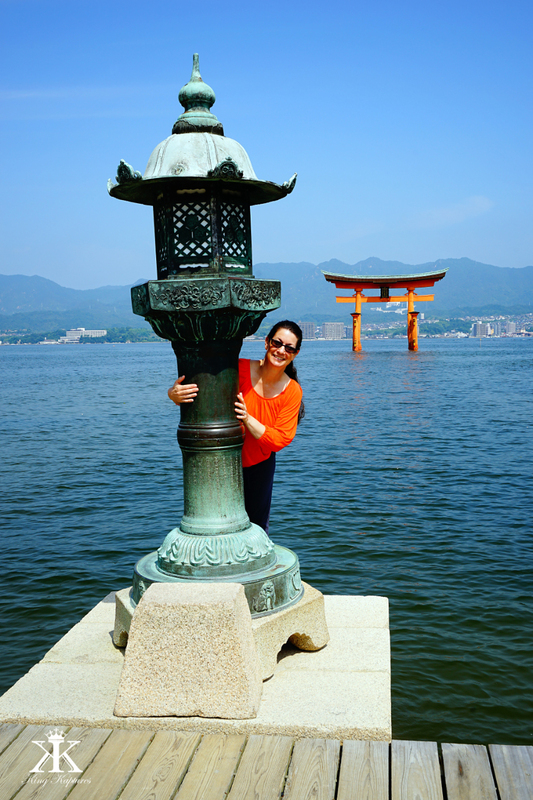 The main pillars are natural camphor, approximately 500 to 600 years old, a tree type known to be resistant to rot and insects. 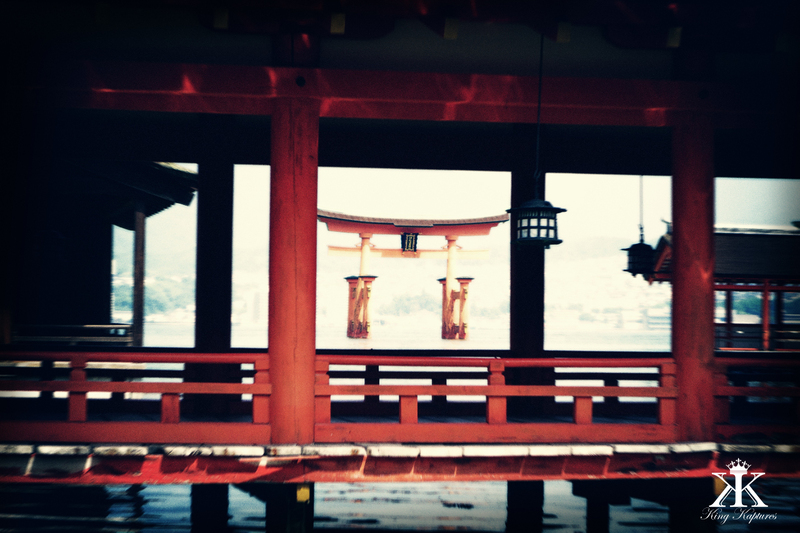 The smaller supporting pillars are natural cedar. The arch has a roof made of cypress bark thatching. 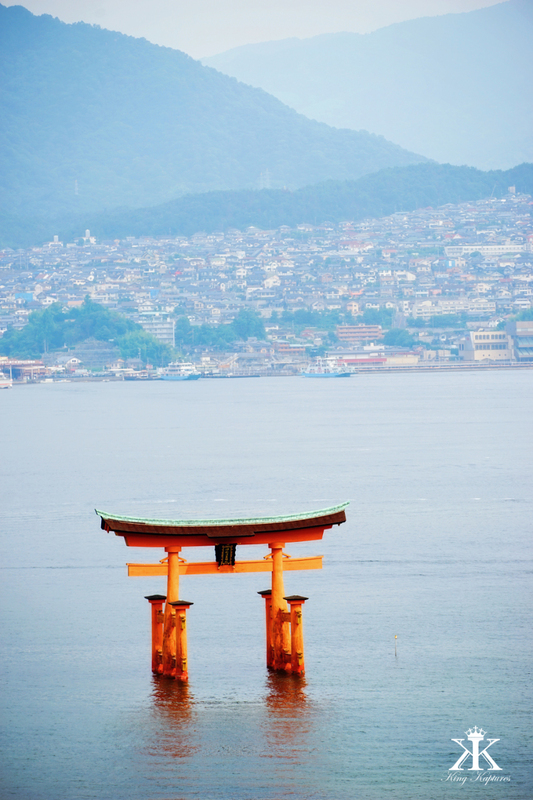 Architecturally, today’s design dates back to 1547, and consists of four smaller torii supporting the larger in the style of medieval Ryōbu Shintō (“dual Shinto”), a mix of esoteric Buddhist and Shinto religions. 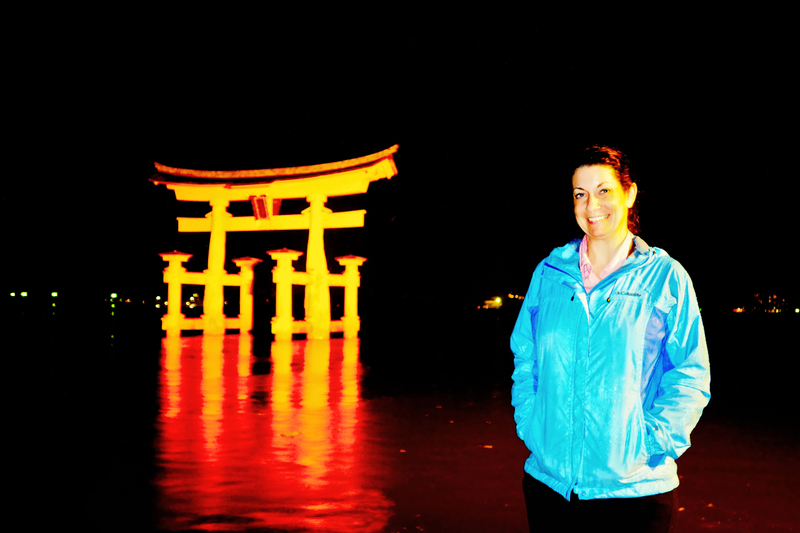 Arguably, the best time to view the Otorii is during high tide, although one must consider lighting as well. 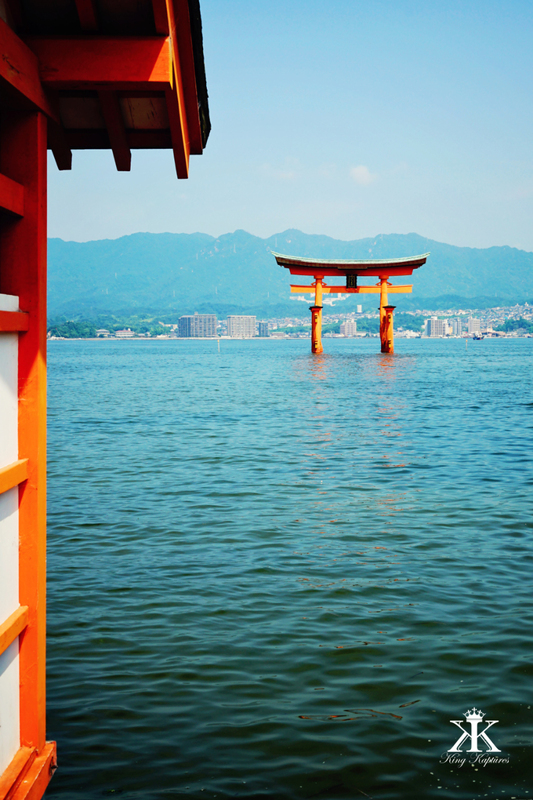 When the waters are high, the gate can appear to float dramatically on or over the sea. At dusk the arch can sometimes be beautifully contrasted against the golden skies of the setting sun and distant mountain ranges. 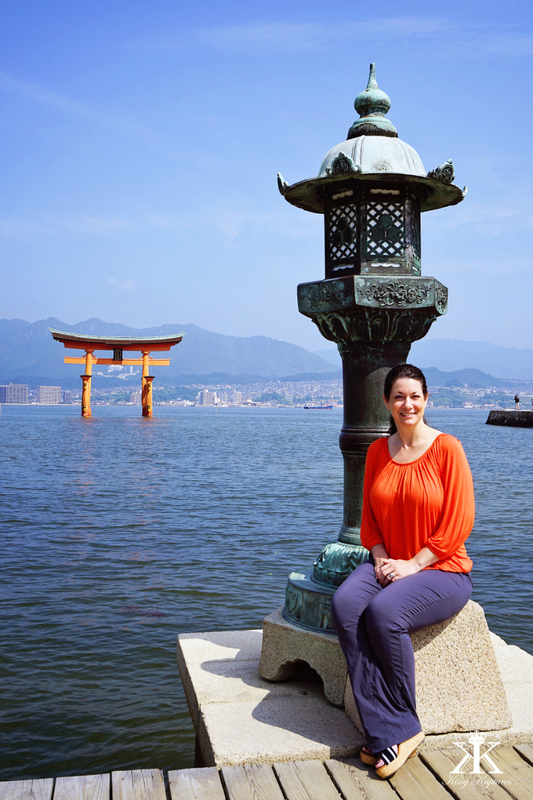 During low tide, the waters recede enough to make a relatively dry trek to the Otorii’s base. While the pictures may not be as beautiful, seeing the gate up close and personal is something to behold. The structure is truly a massive one! 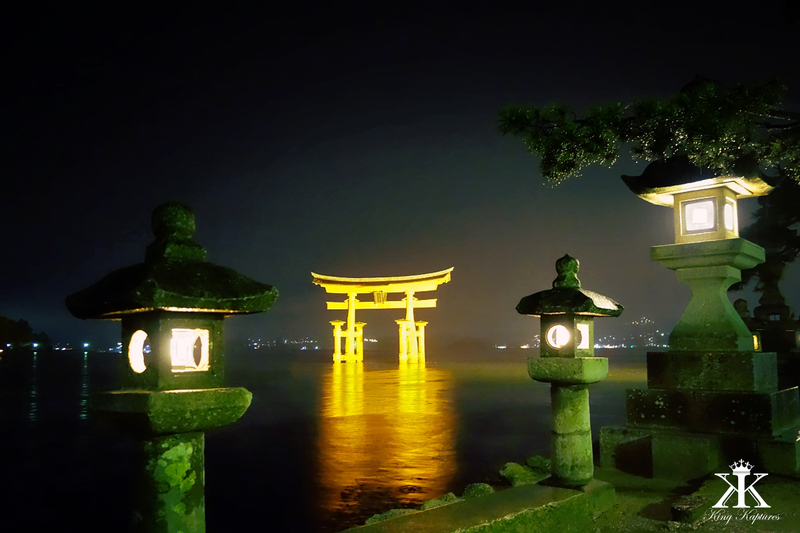 Cruises around Otorii can be hired at the Miyajima ferry terminal at night when the gate is illuminated by powerful lights along the shore. 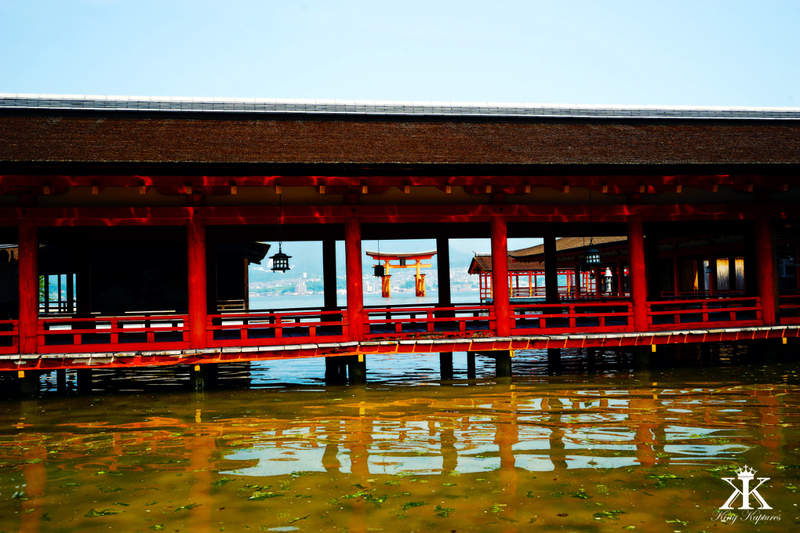 And, if you’re lucky enough to catch a high tide, the boat will even pass under and through the gate! The structure itself is not sunk or otherwise secured below the seabed, but stands in place strictly under its own substantial weight. 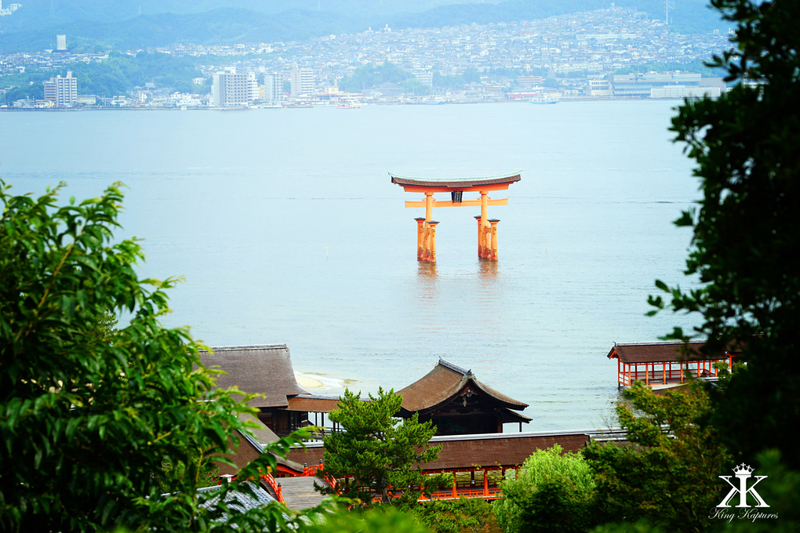 Even though, the Great Torii seems all but impervious to the best that Mother Nature can throw at it: it has survived, with little or no damage, storms, typhoons, and even earthquakes. How is this possible? 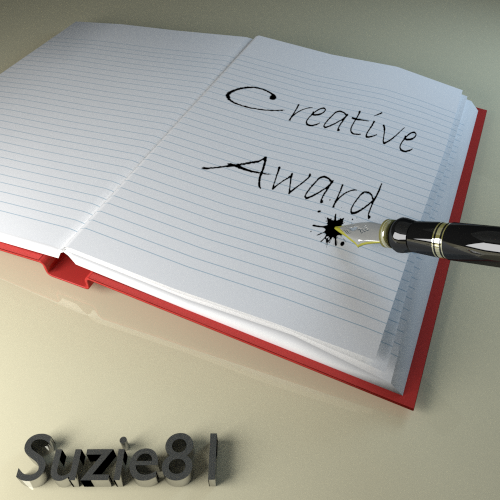 As an engineer, I found this design rather intriguing…if not unlikely. But if you think back 950 years, the technology and tools necessary to build an under-ocean foundation just didn’t exist. Rather, the architect’s strategy focuses on weight that creates pressure, and on wooden joints that offset any potentially destructive forces encountered by absorbing vibration and small displacements of the gate’s various components. 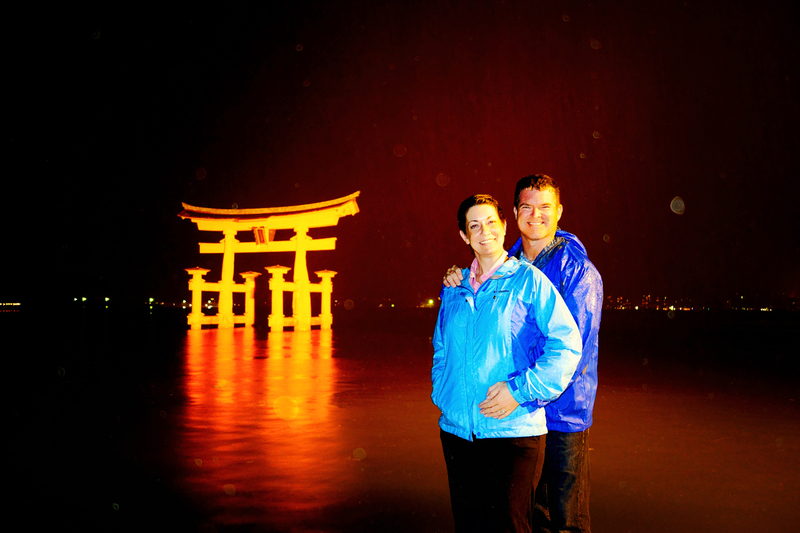 Self-Timer, Tripod Portrait, Shot in the Rain! The Gate stands on two main and four minor pillars, where the smaller supports act to buttress the larger, giving the structure stability in two dimensions. Its weight acts in the third. Although the pillars themselves are the bases of truly massive trees, another seven tons of weight is added topside by filling the boxed structure below the upper arch with a slew of fist-sized stones that ensure the upper structure stays firmly in place. 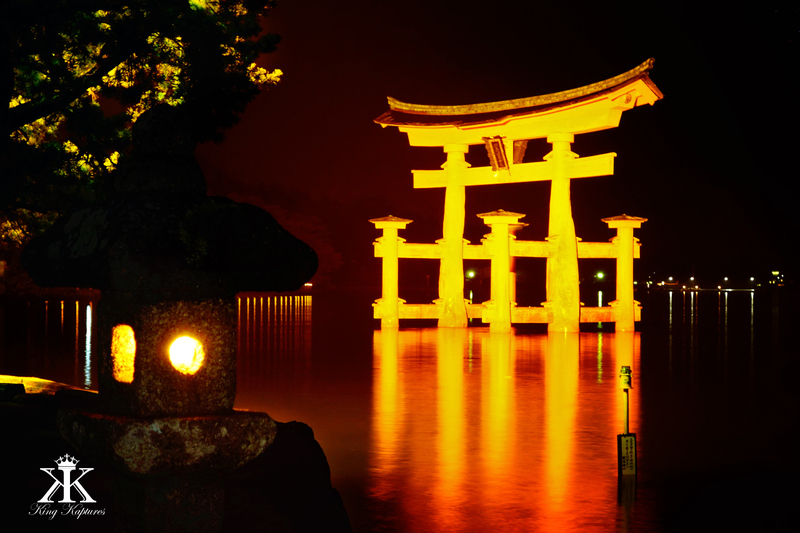 Then the entire structure is held together by wooden wedges, which absorb motion without unbalancing or otherwise damaging the Torii. 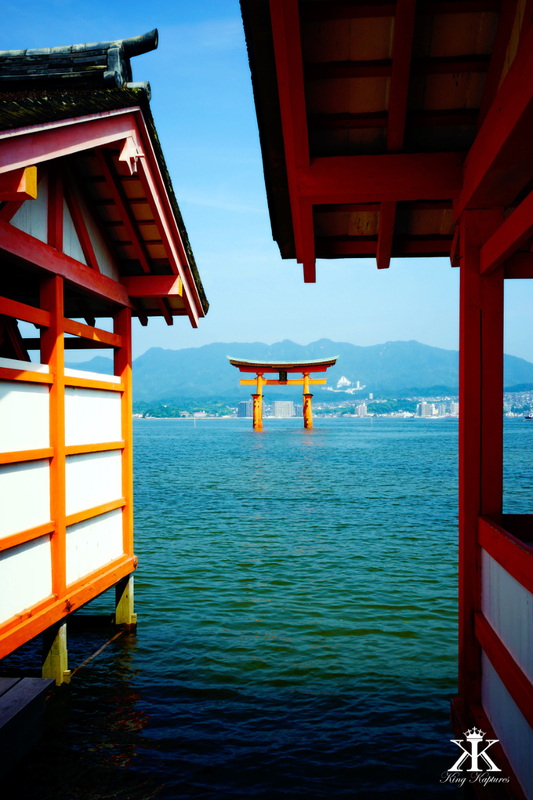 The vermilion color of Shinto Shrines and torii across Japan is believed to help ward off malevolent specters. 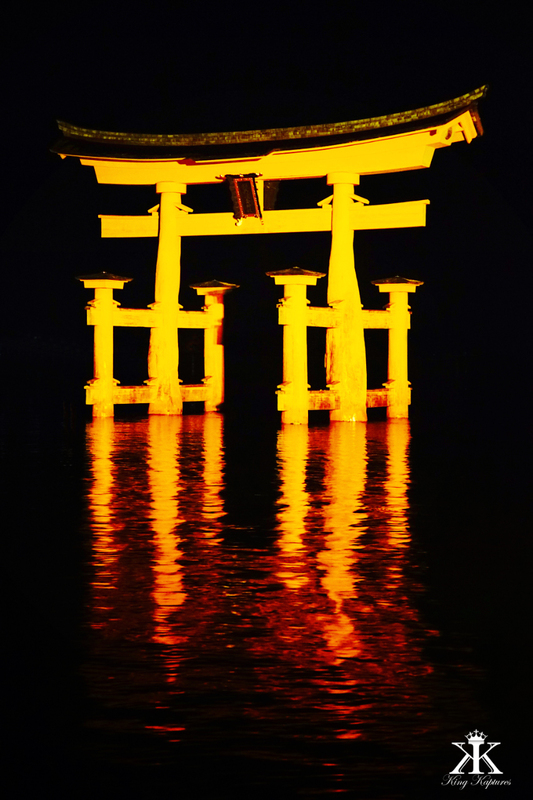 The lacquer which carries the color also offers some protection from rot and decay, since most torii remain constructed of wood. 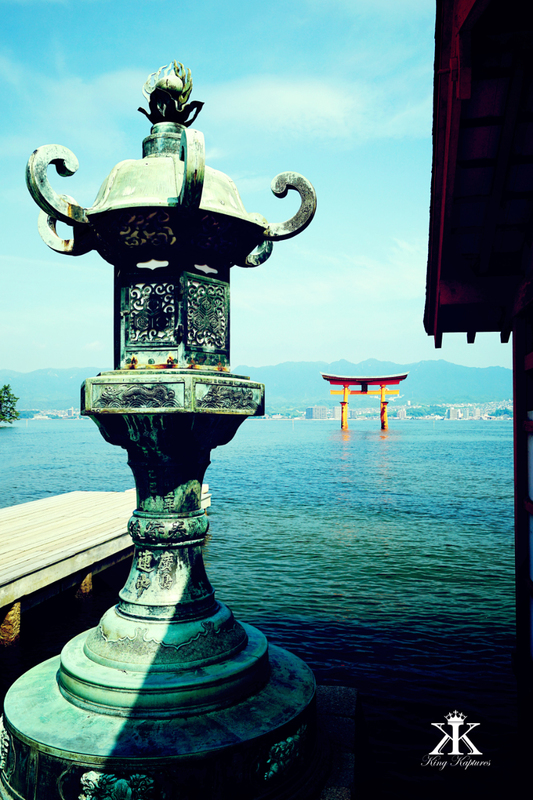 The sun and the moon are painted on the east and the west (respectively) of the Otorii roof, as implored by Feng Shui in an effort to help further block demons. 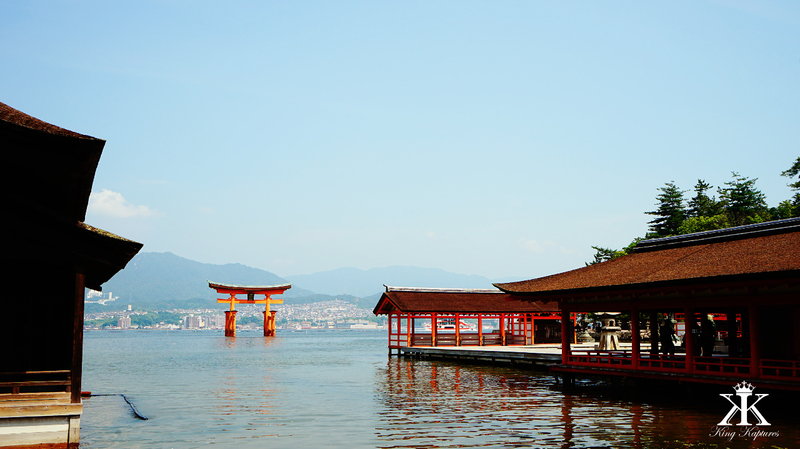 The theatrical Otorii of Itsukushima Shrine and Miyajima island is one of Japan’s most popular tourist attractions for good reason, and is no doubt the most recognizable and celebrated feature for most any visitor. 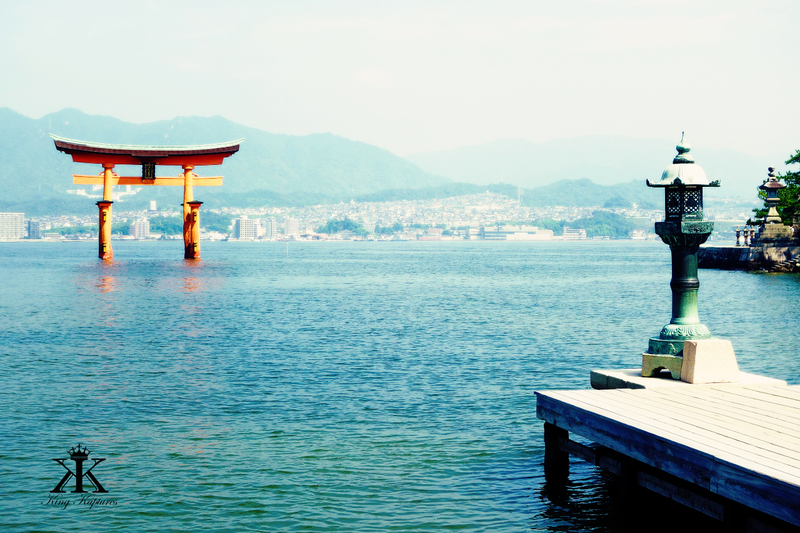 As one of three officially designated most scenic views in all of Japan, it is one not to be missed! 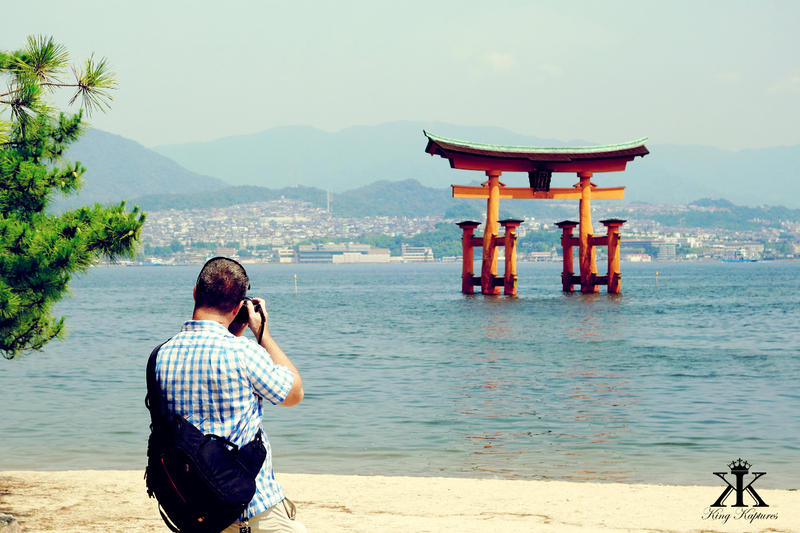 Day trips from Hiroshima are easily accomplished. 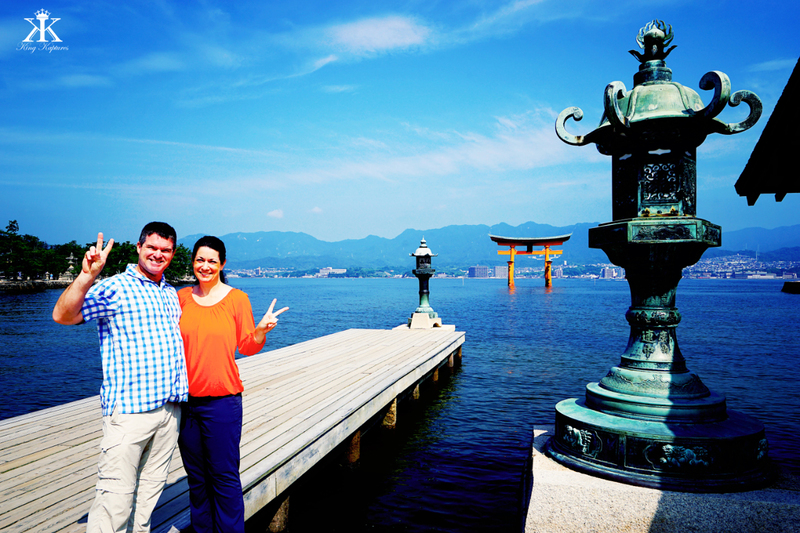 Direct two-way ferry service operates between Miyajima and Hiroshima’s Peace Memorial Park.